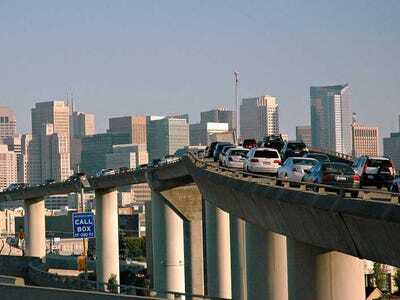 In 2011, traffic jams cost the United States $121.2 billion, according to a Texas A&M Transportation Institute study.Of that figure, only $2.7 billion paid for the 2.9 billion gallons of fuel wasted by idling vehicles. The vast majority of the lost cash is the result of wasted time, as American workers spend their time in traffic, rather than at the office. Congestion takes its toll of the planet as well: Most cars are at their least efficient in stop and go traffic, and the wasted fuel only makes their impact on the atmosphere worse. Fortunately for drivers tired of spending hours in the car, national economies that could use a few extra billion dollars, and everyone hoping for a healthier planet, gridlock can be eliminated. 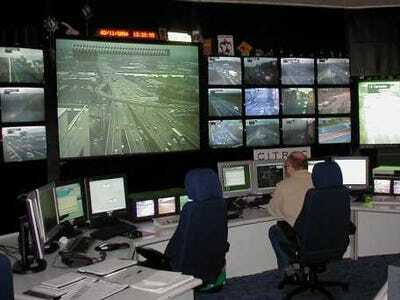 Approaches fall into two basic categories: Detecting traffic, and preventing it. The first camp is the domain of apps and mapping systems, which know which roads are backed up, and help drivers avoid them. Preventing congestion without keeping people out of cars is all about making driving more efficient, by making cars and traffic control systems smarter. The technology that currently controls most traffic signals is 30-50 years behind what is now available, says Rhythm Engineering’s Jenny Kutz. More modern approaches are gradually being implemented in cities around the country and the world, and offer amazing ways to keep everyone on the road and on the move. Self-driving cars can make a big difference. Google and Audi are making a lot of progress in developing autonomous cars, which could make driving safer by removing the potential for human error and poor judgement. They will also make intersections incredibly efficient, because computer communication could allow cars to flow through a four-way intersection without even stopping. Human-driven cars should talk to one another, too. Volvo Trucks participates in SARTRE (Safe Road Trains for the Environment), an EU-financed project that worked for three years on road trains, a new take on driving in which cars communicate with each other and automatically follow a leader vehicle, actively driven by a human. Road trains offer numerous upsides: Fuel mileage will improve, as vehicles stay at the same speed (acceleration reduces efficiency). Cars can safely drive more closely to one another, and will benefit from lowered wind resistance. 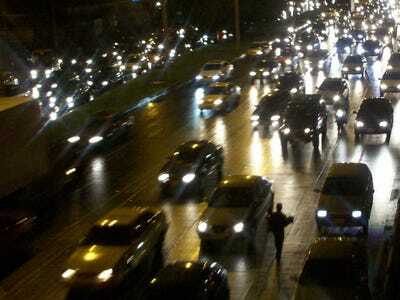 With groups of cars moving in conjunction and at predictable speeds, congestion will improve. And the stress of the daily commute will be alleviated, with time in the car to read or relax. 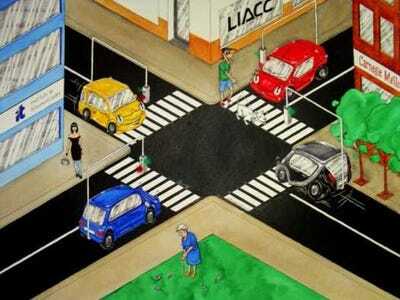 You can even put traffic lights inside cars. That's the basic premise of Virtual Traffic Lights (VTL), a project led by Carnegie Mellon's Professor Ozan K. Tonguz, sponsored by the US DOT through the Carnegie Mellon-University of Pennsylvania University Transportation Research centre. Cars that communicate with one another would control traffic themselves, and physical lights would be replaced by virtual ones, projected on the windshield of each car. This, Tonguz says, would optimise traffic flow: Intersections that don't have signals now would be better governed, and the average $1,500 in electricity each intersection with lights now uses would go pack into cities' pockets. Torguz's team is working to create VTL equipment that can be installed in cars already on the road, for about $100. Or make traffic systems smarter. To keep cars moving on busy roads around the Twin Cities, Henry Liu at the University of Minnesota's Department of Civil Engineering developed SMART (Systematic Monitoring of Arterial Road Traffic) Signals. The system was initially designed to give real-time data to traffic engineers, who could adjust light timing to reduce congestion. Since then, John Hourdos, Director of the Minnesota Traffic Observatory at the University of Minnesota, explains, it has evolved to produce better mechanical controls that can more quickly and automatically respond to changing conditions. Such systems are often scalable. Another project being developed by a university is Scalable Urban Traffic Control (SURTRAC), part of Carnegie Mellon University's Traffic21 research initiative. Unlike SMART, SURTRAC focuses on controlling grid networks, not just corridors (large, busy roads). Each intersection's traffic signal uses cameras to detect how many cars are crossing, and relays that information to its neighbours. That way, the network builds a signal plan that efficiently moves everyone, rather than emphasising one dominant flow of traffic. Dr. Stephen Smith, who works on SURTRAC, explains that this approach is 'inherently scalable,' and that pilot tests in Pittsburgh have shown a 25 per cent drop in travel time, and a 40 per cent drop in wait times. The SURTRAC team is working toward commercialization, but the product isn't cheap: Implementation costs between $50,000 and $75,000 per intersection, Smith estimates. But considering how much congestion costs drivers and cities, and that SURTRAC can be installed piecemeal, it's not that hard a sell. Established systems offer a good deal for communities with cash to spend. 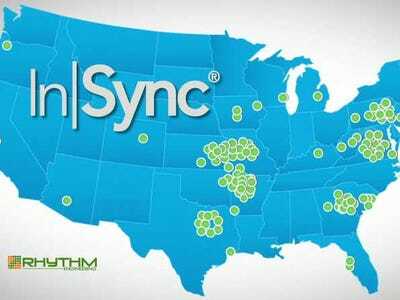 Not everything is in the developmental stage: InSync is a system created by Rhythm Engineering, founded by traffic engineer Reggie Chandra. The idea is to make each traffic signal act as if a traffic engineer were actively controlling it, Rhythm Marketing/PR Manager Jenny Kutz says. It can be installed for $25,000 per intersection (the process takes 90 days from start to finish) and requires minimal maintenance (about an hour per month). 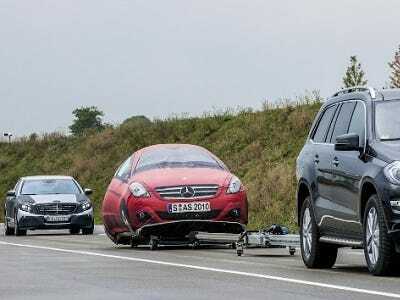 It can reduce stops by 60 to 90 per cent, and even reduce car crashes by 30 per cent. Altogether, Rhythm promises an astounding 90:1 benefit to cost ratio. It made the Inc 500 list of fastest growing companies in 2011 (at number 456), after growing 832 per cent over a three-year period. And some are already in place around the world. SCOOT bills itself as the 'world's leading adaptive traffic system,' and is in used in the US, UK, South America, Middle East, Spain, South Africa, and China, among other places. While it's effective for large areas, John Hourdos points out, it is not designed for single intersections, so it can only be implemented in swathes. There are low-tech solutions to end gridlock, too. It's very simple: On odd-numbered days of the month, cars with licence plates that end with an odd digit are allowed on the road. Vice versa for even-numbered days. 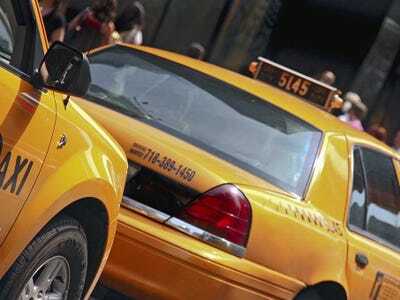 Strangely, the rules also apply to taxis and buses, which can move a lot of people at once, and reduce the need for individual cars. Congestion pricing is popular in cities around the world. One easy way to reduce traffic in high-volume areas, especially in urban centres, is with congestion pricing. 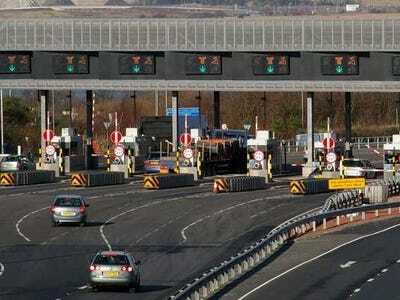 It's based on the idea that charging every vehicle entering a designated area an extra fee reduces the number of vehicles. London, Singapore, and Stockholm all have forms of congestion pricing in place. According to HowStuffWorks, London's plan increased rush-hour travel speeds in the city centre by 37 per cent, and dropped travel times by 30 per cent. HOV lanes are another common approach. 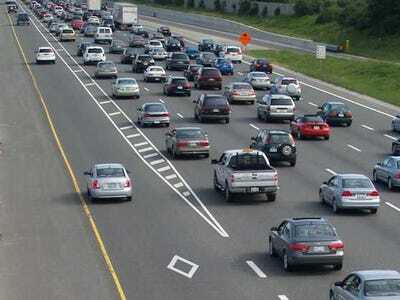 High occupancy vehicle (HOV) lanes are reserved for cars with more than one person inside, to encourage car-pooling and limit the number of cars on the road. Advocates for hybrid and electric cars may be pleased that California allows some 'Clean Air Vehicles' to use HOV lanes, but while it's good for the planet, it does not do much to reduce congestion. 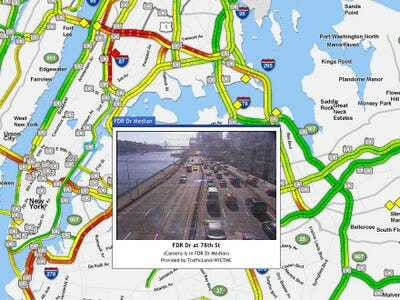 Sigalert provides data on current traffic conditions, for a price. Founded in 1998 and bought by Clear Channel Media and Entertainment in 2011, Sigalert provides reports on traffic conditions in cities in 37 states and Washington, D.C. Subscribers save the routes they often travel, and are sent e-mails or text messages when things get backed up on those roads. Sigalert offers a two week free trial, and costs $19.95 per year. 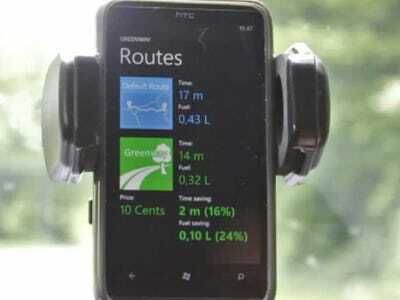 GPS devices and smartphones can play a big role. 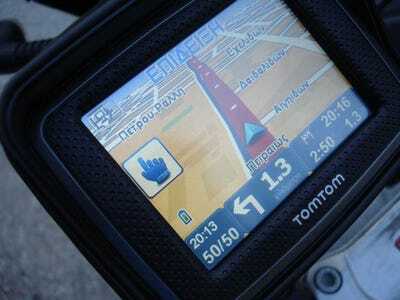 Traffic data provided by GPS devices from companies like TomTom and Garmin allows drivers to see where things are backed up, and avoid getting stuck in traffic. Not only do drivers save themselves time, they don't make the congestion worse. Google Maps is ahead of the game. 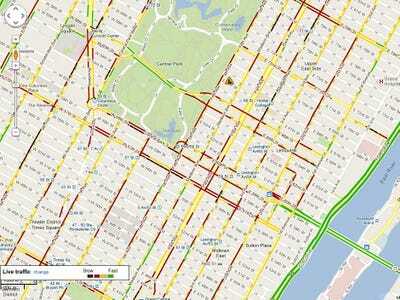 Google Maps has been offering crowdsourced traffic data for years, to Android and iPhone users alike. It also gives directions that take current traffic patterns into account, so drivers don't even have calculate new routes themselves. 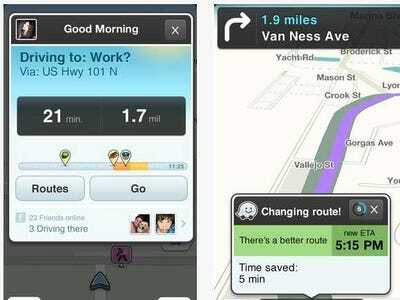 Waze offers traffic data with a sense of community. 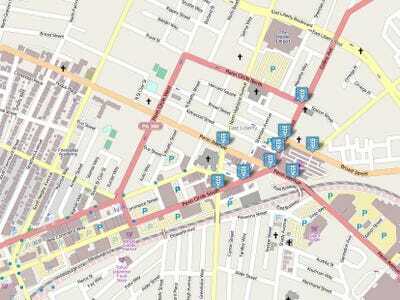 The makers of Waze offer a similar service, but with an emphasis on community. In addition to providing traffic data, the app reports gas prices, road hazards, and the presence of police, all using data provided by its 30 million users. Based on its five-star rating in Apple's App Store (from 8,085 reviews), those users seem pretty happy with it. Greenway takes a different approach. This app, created last year by three German students, is even more proactive. According to TechReview, it 'reserves' a spot on the road for a car: It will only direct a certain number of cars onto a given road, so those routes never get clogged up. But as helpful as smartphone apps can be, they come with a downside, says John Hourdos of the Minnesota Traffic Observatory: They are not usually designed with safety in mind, and easily distract drivers. Distracted drivers crash. Crashes cause congestion. 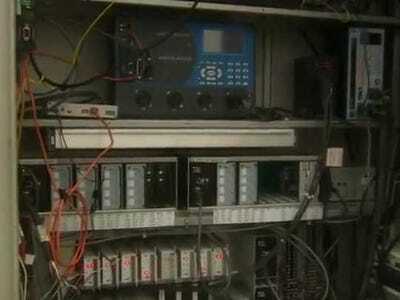 Studies are being done to make traffic patterns safer. 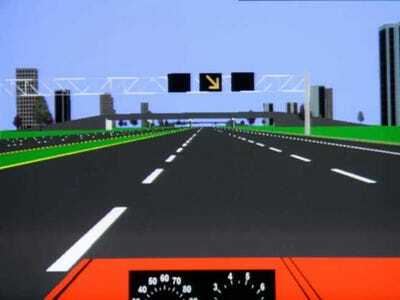 It used driving simulators to determine which type of merge signs are the most effective: diagonal arrows, words, or dynamic chevrons (moving, sideways arrows). Harder's ultimate goal is to make drivers more aware of road conditions, keeping traffic flowing and preventing accidents. Or, you can get rid of traffic lights altogether. 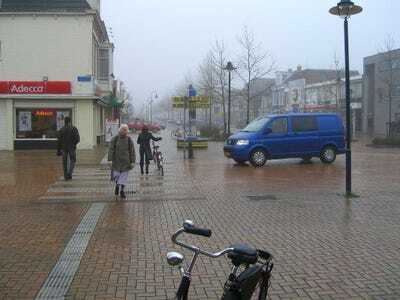 That's what Drachten, a northern Dutch town, did in 2006. The premise is that traffic lights make roads less safe, because drivers do not feel responsible for where they go, the BBC reported. Without signals, everyone on the road is more careful, and follows basic rules to avoid accidents. That's not to say this could ever work in a densely populated area like midtown Manhattan, where the result would likely be chaos. Of course, there are ways to get around without using cars. More and better public transportation reduces the need for cars and the resulting congestion. 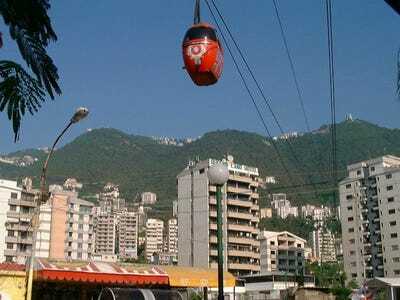 For urban centres where building subways or light rail lines is complicated and expensive, gondolas, or cable cars, require little infrastructure and avoid right-of-way and eminent domain issues, Wired's Keith Barry argues. Now see which cities really need some help.